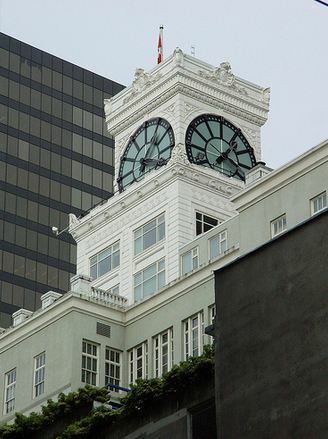 Simply Dental is located near the intersection of Georgia and Granville Streets, [Suite #1015, 736 Granville Street Vancouver, BC V6Z 1G3] in the Vancouver Block; a striking fifteen-storey Edwardian Commercial building topped by a large clock tower and finished with ornamental terra cotta. We look forward to seeing you and improving your dental health, let us help you create a great smile! There are four major bridges: the Lions Gate Bridge, connecting to the heart of downtown from North Shore municipalities and the Trans Canada Highway, the Burrard Street Bridge, Cambie Street Bridge, and Granville Street Bridge providing access to downtown Vancouver. The historic Waterfront Station is the principle transit hub for the downtown core. There are six subway stations located in downtown Vancouver running on three SkyTrain lines: the Expo Line, Millennium Line, and Canada Line. The Expo and Millennium lines travel from the historic Waterfront Station at the foot of the central harbor and through the old Dunsmuir Tunnel to the east. Canada Line travels from Waterfront Station and tunnels south under Granville Street [a 3 minute walk to our office] and Davie Street, linking downtown to central Richmond and Vancouver International Airport. SeaBus is a passenger-only ferry that connects from Waterfront Station to the North Shore in 10–12 minutes. The West Coast Express commuter rail system travels from Waterfront Station to the eastern suburbs and exurbs. Terminals are also available near Waterfront Station for float planes and helicopters. Most north-south Vancouver bus routes serve Downtown Vancouver, in addition to suburban routes from the North Shore, Burnaby, the Tri-Cities, Richmond, Delta, and South Surrey.